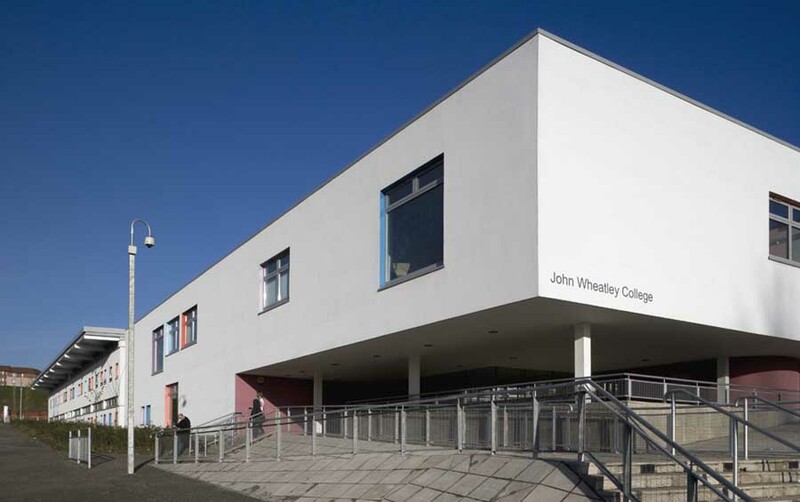 John Wheatley College is a well established and respected Further Education College largely serving the local community in Glasgow’s East End. 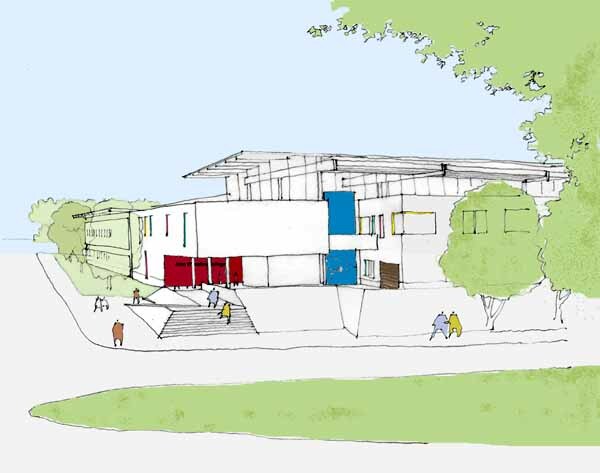 This project will provide a major new building of approximately 6,000m2 on a brownfield site in the Haghill district with classroom based teaching, training workshops, staff and student facilities and administration. Certain functions such as hairdressing, the restaurant, the library and childcare will offer services to the local community. 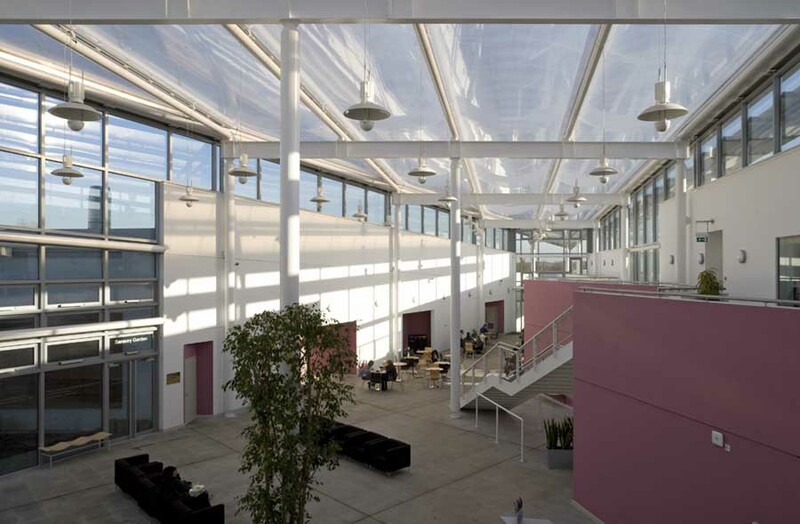 The brief called for a welcoming building with a sense of accessibility and openness. 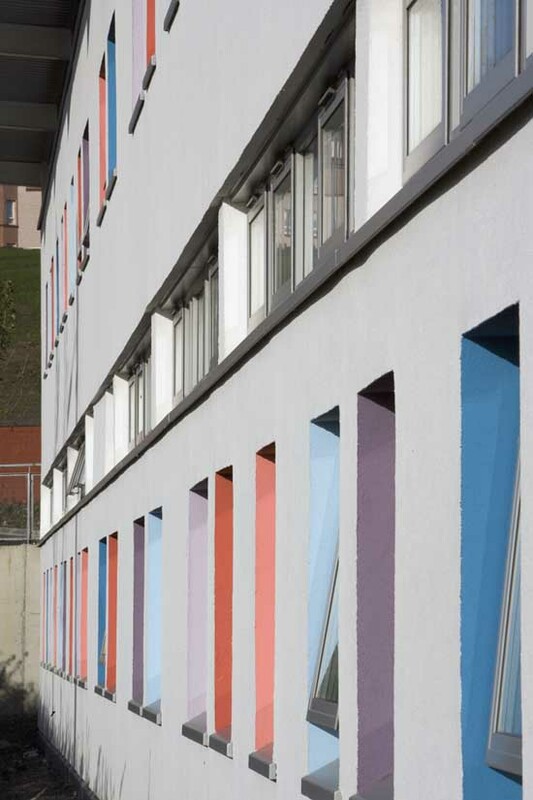 We have grouped the accommodation into the three primary categories and provided a fourth major element to the scheme; a large concourse, which offers a shared social space at the heart of the building. 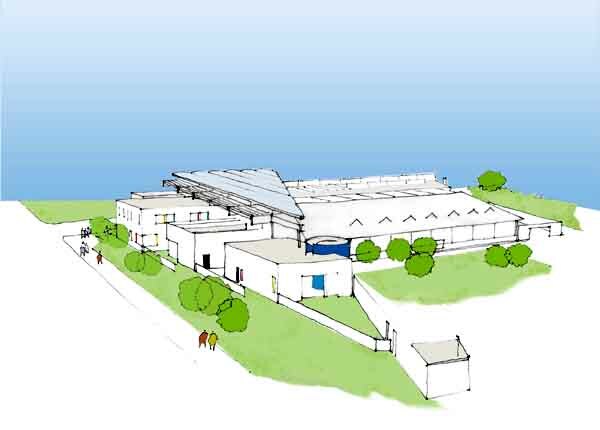 This will not only provide a democratic area with ‘front doors’ for each of the main accommodation types, but also an area for exhibitions, events and sample teaching activities open to the local community. 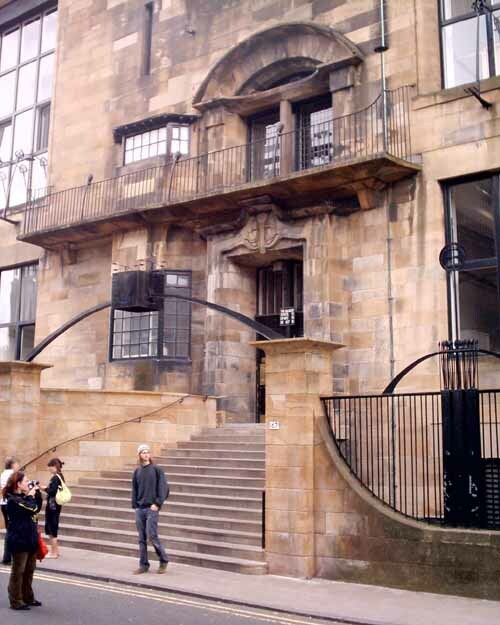 It will provide a strong sense of location and identity. The roof of the concourse is a triangle in plan, consisting of airfilled ETFE foil cushions, controlling heat loss and with a printed pattern to provide solar protection. Sustainability has been a significant parameter for the design. 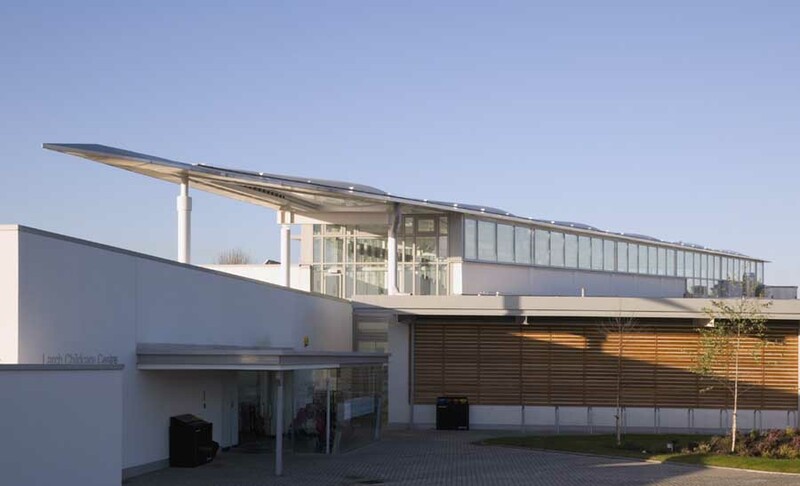 In addition to the natural ventilation and daylight features, we have incorporated a biomass boiler and exposed concrete soffits to the teaching block ground floor ceilings for thermal mass. Solar collectors, photo voltaics, wind turbines and air to air heat pumps are incorporated. 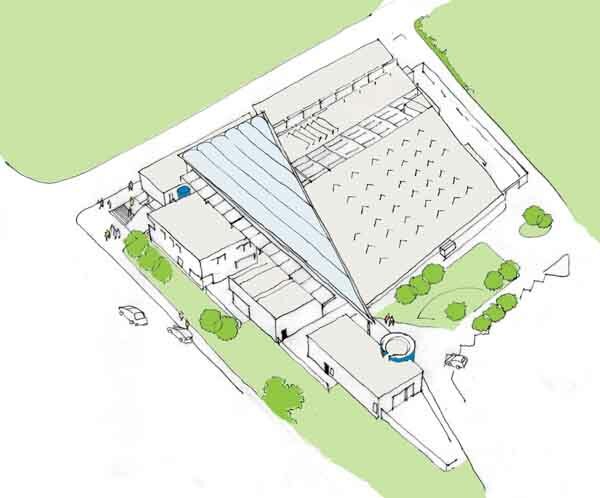 Water runoff will be controlled using a SUDS system and roof rainwater will be recycled. We are aiming to achieve a BREEAM excellent rating. Recent ABK projects include Offaly County Council Offices, Tullamore, Ireland and Trinity College Dublin, Arts Building Extension, St. Mary’s Hospital on the Isle of Wight, new stations and bridges for the London Docklands Light Railway, new British Embassy in Moscow, Limerick Doclands and work at the Whitworth Art Gallery Manchester.